You’re buying a home and shopping around for a mortgage. You’re inquiring of different Lenders for rate quotes. But you’re discovering that while rates might be very similar from one Lender to another, the fees charged by the Lenders can vary greatly. Consumers can be easily confused by varying rate/fee quotes when shopping around and comparing one Lender to the next. The recently revised Good Faith Estimate that HUD instituted encourages exactly this type of behavior on the part of consumers. 1. POINTS: if the points are true “Discount” points then by paying points you are obtaining a lower interest rate with that Lender because you’re effectively paying some interest at closing and thus “discounting” your interest rate for the term of the loan. Question the Loan Originators if “Points” being disclosed to you are Discount, or not. If they ARE Discount, ask the same L.O. for the Zero-Points option. You should see a slightly higher interest rate. Traditionally when a Borrower pays ONE Discount Point (One percent of the loan amount) the interest rate is lower by .25% (assuming market conditions are stable and tranquil). Therefore, if you are quoted 3.625% 30yr Fixed with 1 Point, the ZERO Points option should be .25% higher in the rate or 3.875% 30yr Fixed. 2. FEES: Each Lender has unique fees. These include, but are not limited to, Origination fee (which can equal in some cases 1% or One Point), Bank Attorney fee (for New York purchases/refinances), Application fees, Document prep fees, Underwriting and Processing fees, and etc. When comparing fees from one Lender to another it’s important to have all the fees broken down. For example, you may have an estimate from one mortgage Lender with an origination fee of $650. But they then pile on a bunch of the smaller fees which in the end totals out to about $1500. By comparison, another lender may charge only an origination fee of $1800 but NOT the smaller fees. Get a breakdown from the Loan Officer. NOTE: These fees are separate and apart from the DISCOUNT Points described above in section 1. 3. APR: Annual Percentage Rate. The BEST way to compare fees is to check the APR. REQUIRED by Federal regulations is this: if a Loan Officer sends you a rate quote she MUST include an APR in equal font-size and immediately next to the interest rate quoted (in other words, NOT in the fine print). APR includes all the Lender’s fees added to the actual interest rate of the loan (the effective rate) and calculated over the term of the loan to derive an Annual Percentage Rate. When you compare the APR from one Lender with the APR of a different Lender that is the best way to see the difference in fees charged by each Lender. NOTE: The APR will include unique fees charged by the Lender (Application fee, Underwriting fee, etc. as cited above in section 2) AND DISCOUNT Points (if any). IF you have a comment, please submit for approval. Reach out to your fellow human and remember kindness and love. Because hope in our human goodness is all that we really have left. I cannot explain nor can I understand the cause of this tragedy. I can stand silently in support of those families, friends and fellow townspeople of the victims in Newtown, Connecticut; I can witness their suffering and honor their pain by taking some to my heart. Because I cannot imagine the depth of their sorrow, I doubt my desire to honor that pain will have much effect. I feel the same today as I did on and in the days after another tragic day, September 11th, 2001. I remember how many of us came together in peace and a recognition of our fragile humanity at that time. There was a spirit of honesty when the goodness that potentially resides within each one of us rose to the surface. A smile or an act of simple kindness meant so very, very much in easing our suffering. And now this terrible thing happens. We are reminded how terribly cruel the world, the universe, and humans can be. No matter your religion, you cannot help, I think, to be touched by the season of kindness, giving, and sharing of joy at this time of year. Maybe it is a deep-seated need embedded in our human culture, and not just the result of one religion’s celebration. I think the best we can do to honor those who have lost their lives and those who suffer as a result is to reach down into that deep reserve of kindness and, yes, love, within our human selves. Truly, ’tis the season. Reach out to your fellow human and remember kindness and love. Do it not for the personal joy you will experience as a result; do it instead to honor this tragedy, to remember the depth of human suffering that exists in this cruel world everyday and for hope. Because hope in our human goodness is all that we really have left. Take a moment to read the citations for these and other CMOH recipients, both living and dead. After you do, you’ll realize the extent to which these brave Americans have gone to preserve our American way of life. The buzz in the news today is that, since 11-11-11 only happens ONCE in a century, today is a special day altogether. And it’s Veterans Day. There are many Veterans who have performed extraordinary feats in the service of our nation: they were and are the living recipients of the highest honor our nation can bestow: The Congressional Medal of Honor. The CMOH website is HERE. Many of the recipients of the CMOH lost their lives in the action that earned them the respect and gratitude of a nation. But many recipients survived as Veterans. You’ll be inspired to say, “Thank YOU,” to a Veteran. 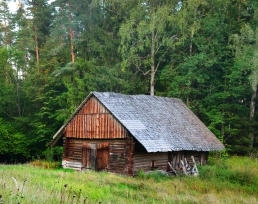 I was thankful some years back when the OLD paradigms for approving mortgage loans resurfaced. Back then it looked like we were returning to the days of common sense in Underwriting and approving mortgage loans. Yes, we were, but that was only part of the pendulum swing away from the days of “if it’s breathing it gets a mortgage” insanity. The pendulum hasn’t completed its swing in the direction of conservatism in Underwriting standards. Oh no. Apparently we have quite a ways to go. Credit Score NOT enough. Having a good credit score isn’t enough to qualify for a mortgage loan anymore. A Borrower must have sufficient “Trade” accounts on the credit report. 2 trades with a minimum 12-month history, current and active, too. Rental History: I predicted over a year ago that some time in the future we would see Lenders asking for proof that a Borrower has shown respect to their housing payment: RENT. That respect means you paid your rent on time. There are only TWO acceptable forms of proof that your prospective Buyer paid rent on time: 12 months cancelled rent checks (not cash receipts or money order slips) OR an official verification from a recognized legitimate Management Agent. While it’s not the case that everyone needs that verification yet, we are seeing it being requested more often by Underwriters. Too many inquiries. The prospective Buyer who has had many mortgage inquiries in the past 90 days—even though it doesn’t affect the credit score—is now becoming suspect in the eyes of the Underwriter. The question being asked, “What is wrong with this loan application that there are so many people looking at it?” FYI: I often see too many inquiries when I am called in on a “911” call to help save a deal that’s falling apart. Last week, with two different clients who had been working with Bank of America and CITI respectively, I saw multiple inquiries. I don’t know why these bankers had to run the reports repeatedly, but they did. Home address. It’s great that so many folks get their tax returns done by tax preparers who manage to find HUGE refunds for their clients. But Married couples filing at different addresses with “Head of Household” on the returns, well, while that may help get a huge refund, it’s telling a mortgage Lender 2 things about the prospective Buyer: A) They don’t live together, so who’s to say they are truly both going to occupy the house they are buying and B) They don’t seem to have a problem with committing FRAUD to get a big tax refund. Unlicensed Loan Officers. When you are presented with a PreApproval letter from a Loan Officer, you can verify if this person has a License to conduct business as a Licensed Mortgage Loan Originator. Loan Officers who work for banking institutions aren’t licensed; they are registered, but you can verify that, too. Visit www.nmlsconsumeraccess.org and enter the person’s name to verify. There are people walking around out there pretending to be licensed when they’re not. They are wasting your time and they are committing a felony. I picked up a great re-blog today on Phil Faranda’s blog. 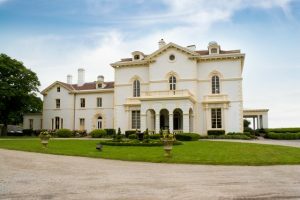 The original entry is written by a Westchester County Realtor, Ruthmarie Hicks, and contains a wealth of excellent resources for Homebuyers. 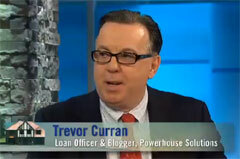 Resources are where it’s at here at tcurranmortgage.com as witness my Useful Links page. I believe it’s important to verify the information anyone gives you when you’re buying a home, whether that information is provided by your Realtor or the Loan Originator or your attorney. “Trust but verify,” especially when this process of buying a home today is so difficult and fraught with many interesting changes and idiosyncrasies. Ruthmarie gives Buyers insight into information that cannot be discussed by the Realtor due to Federal Fair Housing regulations. She goes on to provide links to websites that Buyers can use to find out the information they need to make an informed decision about the location and town where they wish to buy a home. It’s hard work, and Ruthmarie stresses that! That last statement might seem rather rude, but I see it instead as the mark of an experienced professional. A good portion of what I’ve written here on my site is for serious buyers. I have long stressed the importance of working with an experienced full-time Realtor. Realtors of this ilk are folk who take their jobs very seriously and want to know they are investing their valuable time (and sharing their equally valuable experience) with Buyers who won’t waste either. To that extent, Realtors like Ruthmarie and Phil carefully “read” prospective Buyers to gauge their seriousness. I’d hazard a guess that most horror stories we all hear about bad experiences Buyers have when buying a home comes down more to the fact these Buyers did not display the traits of a serious prospective customer and thus were cast aside to work with the less-experienced (or worse, “PART TIME!”) Realtor. And for that, you truly get what you pay for. When I sit with clients who are working with a Realtor unknown to me, and I hear how the Realtor has been working with them, I can usually identify a Serious Pro from a “dabbler.” If we’re working with a veteran, then my clients and I have a truly tranquil experience; when we’re working with a novice, well, it’s usually a very bumpy ride. You must identify an experienced Realtor in your desired shopping area; otherwise you’re wasting your time. I have written extensively on the signs of a Pro here on tcurranmortgage.com. Use that advice, get to work finding a great Realtor, and do your hard work of buying your first home! Phil is expert modern marketing methods to sell homes. He’s not only honest with clients and customers, he’s honest with himself in his career as a real estate sales professional. The ubiquitous Phil Faranda, owner of JPhilip Real Estate, and WorldWideWeb-blogger-tweeter-twitterer-supreme, blogs the TRUTH for home Sellers and Realtors in this difficult market. What can I say, we both like to TELL IT LIKE IT IS regardless of the consequences (I guess we both like to believe that consumers for our respective services—mortgages and real estate—want to work with honest professionals with high standards). Phil is expert in the modern 21st Century (can you say “Star Trek?”) method of marketing homes. He’s not only honest with clients and customers, he’s honest with himself in his career as a real estate sales professional. That honesty translates into a proper assessment of how today’s homebuyers find their “dream homes.” And that assessment translates into success for Sellers, Buyers and Phil’s team at JPhilip Real Estate by using modern tools and avoiding ineffective methods. For what Phil does—selling homes—and what I do—providing mortgage loans—we both step back and analyze frequently and often, the better to service our clients and our careers. If you want a good dose of TRUTH about how homes are purchased in the Year of Phil 2011, read his blog! Take a moment this weekend to remember the fallen, those men and women who made the ultimate sacrifice so that we can celebrate our liberty this holiday weekend. Memorial Day is a time for barbecues, family, friends and beginning our Summer holidays. We love our Summers here in The Good Ol’ USA. Take a moment this weekend to remember the fallen, those men and women who made the ultimate sacrifice so that we can celebrate our liberty this holiday weekend. Cypress Hills National Cemetery is the only United States National Cemetery in New York City and has more than 21,100 interments of veterans and civilians. There are 24 Medal of Honor winners buried in the cemetery, including three men who won the award twice. Veterans of every conflict from the American Revolutionary War through the Vietnam War are buried in it. 905 Lenders who have lost their approval to originate FHA Insured Mortgage loans. I think back to all those clients over the past three years (since the meltdown and the “return to sanity” in originating loans) to whom I had to say, “No, I’m sorry, you’re not qualified for a mortgage at this time,” clients who, I later discovered, went on to other mortgage companies and closed on their loans. I remember thinking, “How the heck did they do that? Was there something I missed?” It took a lot for me to shake off that feeling of inadequacy we all get when an opportunity to close a loan passes you by. Sometimes the Realtor who referred the client to me would call me and say with not a little scorn, “They closed with ‘so and so mortgage company’. Why could they do it and you couldn’t, Trevor?” It was too good to be true…how could those Lenders close the loan and I couldn’t? The answer is in the Federal Register: I was right, those folks weren’t qualified. They got the loan because someone ignored the basics of qualifying. Today I look at the list of Lenders here in our area who have been cut off by HUD and I see the very companies who closed those loans for those unqualified clients. Visit my Useful Links page for The Truth, whether it be about credit, property taxes and values, or various and other sundry information related to the Homeownership experience. The Truth: you will find on my Useful Links page the best internet resources for accurate and truthful information for those questions that come up when you own or buy a home. If you’ve been a visitor here to tcurranmortgage.com before,reading my many blogging posts and rants, then you know I’m a stickler for getting the right answer before I open my mouth. In fact, I think back to my first “cold call” on a real estate office in 1989. I said to the Broker, “If you have a question and I don’t know the answer, I won’t shoot from the hip, I’ll find the right answer for you by the next day, the latest.” That cold call conversation led to a referral to my very first loan application in the mortgage business within fifteen minutes of that bold statement. I adhere to that same credo today: I investigate thoroughly to determine the correct answer to a question asked by a client so that I can provide The Truth. When I built tcurranmortgage.com 5 years ago (with the help of web designer extraordinaire Gary from hatrack.net! ), I made sure to provide links to websites that I felt provided the correct answers to the most common questions asked by my clients. For example, the myth of “too many credit inquiries” frequently leads my clients to the link to MYFICO.com and the Education page there to discover the truth about the oft-quoted lie voiced by mortgage professionals, “Don’t let anyone else run your credit because that will lower your credit score.” What clients who are shopping for a mortgage hear in that sentence is a caution that shopping around will be personally detrimental to your credit report. What I hear in that sentence is a a lie, proved so on the MYFICO.com website where Fair Isaac clearly states that shopping for a mortgage does not affect your credit score in a negative way, in fact the system ignores the inquiry, assuming your are shopping around for the best mortgage. Before putting up all those links on my Useful Links page I spent considerable time searching the web for the most trustworthy and accurate sites. A good example of that searching resulted in the link I’ve provided to Consumer-Action, the absolute best website for all things credit-related. I meet many folks who have serious credit problems and Consumer-Action provides a wide array of important tools to help consumers find the best solutions to those credit problems. Whether they are looking to create a credit profile from scratch or whether they are looking to re-establish credit after a debilitating personal financial crisis, or if they are just looking for the best deals on credit card rates/fees, all that information is presented in a concise, accurate and simple form on the Consumer-Action site. The Truth about “Free Credit Reports“ is on the Useful Links page, too: consumers are permitted under Federal Regulations to obtain a copy of their credit reports directly from each of the three credit bureaus once a year, Free of charge. The purpose of this regulation is to allow consumers the opportunity to correct errors in their reports. I’ve posted a link about that Hot Topic, too: credit repair scams with The Truth provided courtesy of Uncle Sam and the Federal Trade Commission. Here in the New York Metro region, homebuyers who want the inside information on any given property can find it using New York City’s ACRIS System. The City of New York has compiled an online repository of accurate information regarding Deeds, Certificates of Occupancy and Property Taxes. Often a Multiple Listing will indicate the property taxes for a given property. There is a disclaimer on each MLS form that the information is provided by the homeowner/Seller and is not warranted to be accurate. Thanks to ACRIS, homebuyers in New York City can find the actual property taxes for that property—which often are considerably higher than those figures quoted on the MLS Listing form!